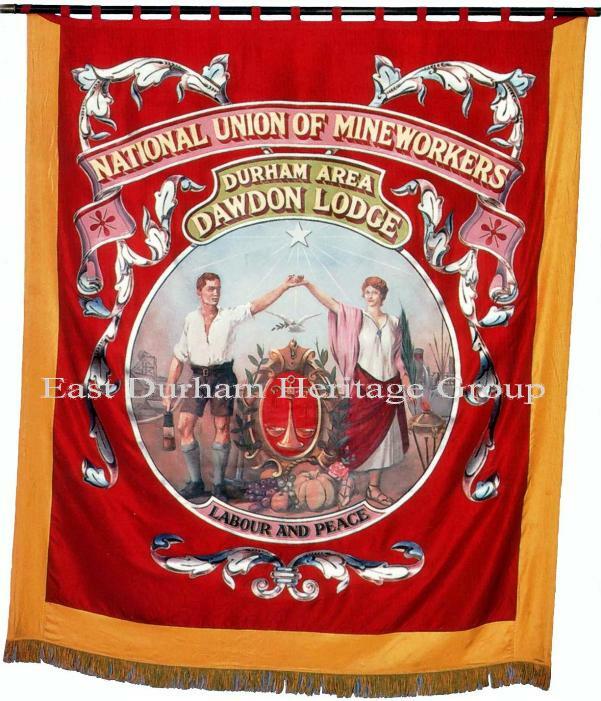 Miners Banners can be thought of as the regimental colours of the National Union of Mineworkers and it’s associations like the Durham Mechanics and the Durham Enginemen. 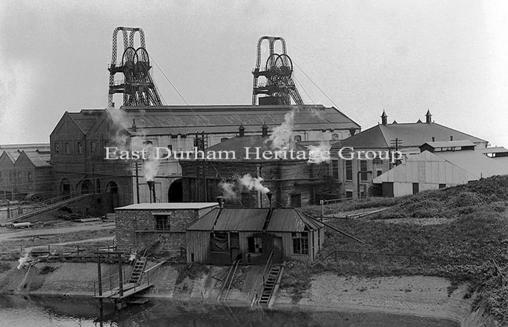 They colourfully displayed the name of their lodge and colliery, also carried emblems of Religion, Socialism and in some cases Communism. 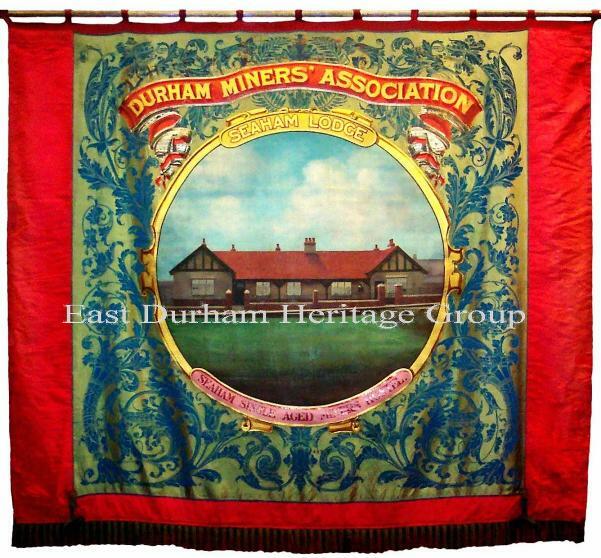 Each colliery’s Miners Lodge had their own which was carried proudly at miner’s celebrations, protests and other events, the largest of these being the Durham Miners Gala, or as it was known in the Durham Coalfield ‘The Big Meeting’. 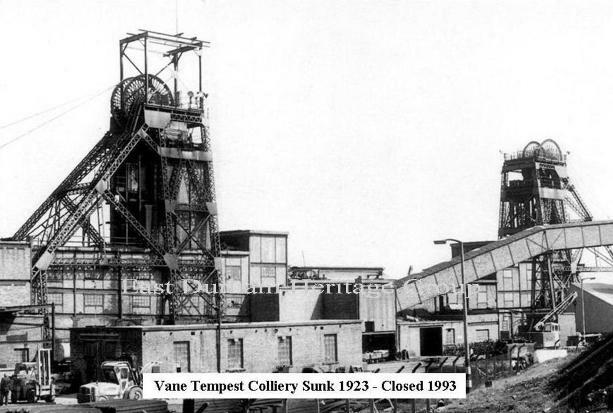 The Gala is always held in July and was always attended by thousands of miners and their families from the area. 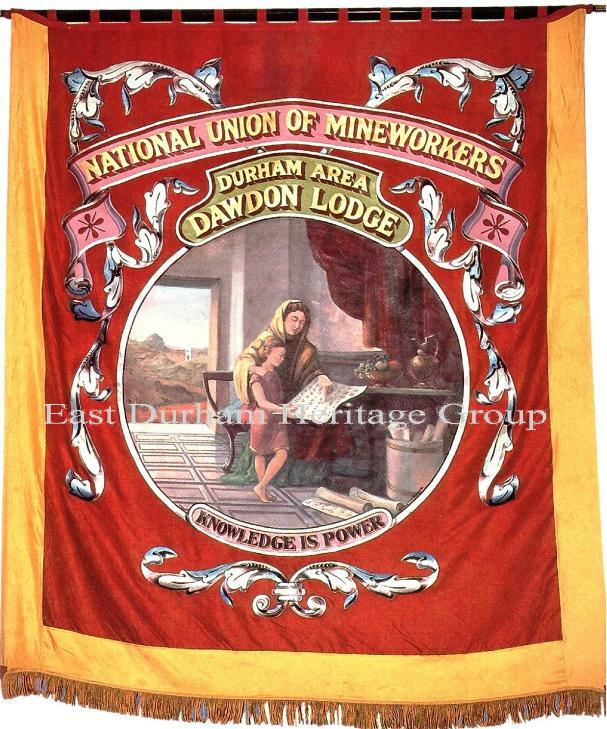 They came together each year to hear speeches made by their and other Trade Union leaders also socialist politicians. 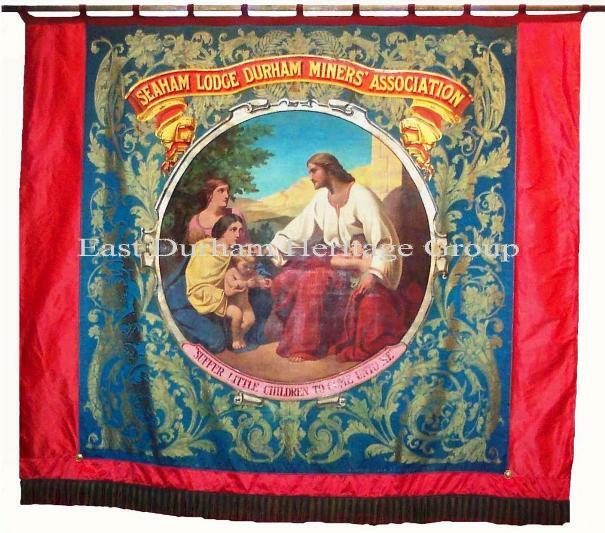 Due to the rundown of the mining industry many banners have been lost or deteriorated following the closure of the miner’s lodges, but there are a growing number of banners which have been lovingly restored or remade thanks to enthusiastic banner groups around the county. 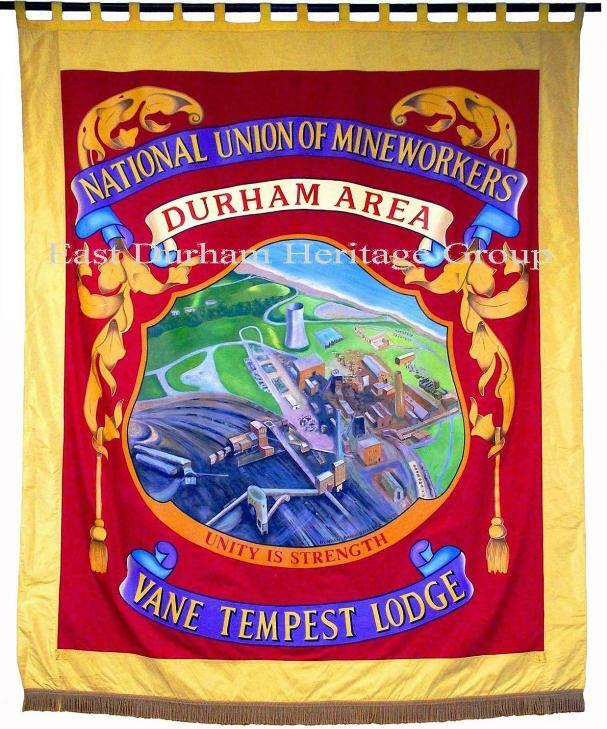 As well as preserving our history and heritage these groups are very important to the old mining communities as the miners banners are the only tangible thing left of the once mighty coal industry. 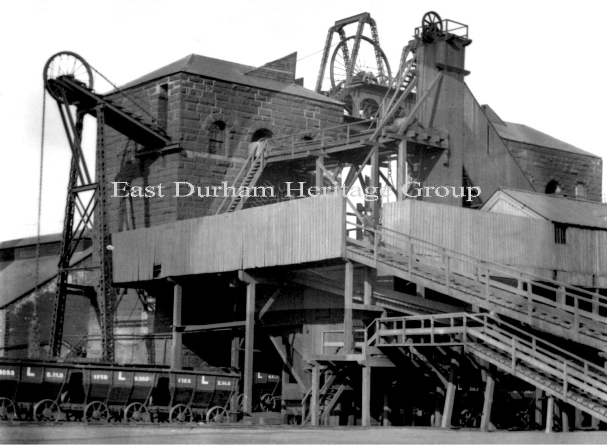 At its peak in 1913, nationally the coal industry employed one million miners who produced over 200 million tons of coal. 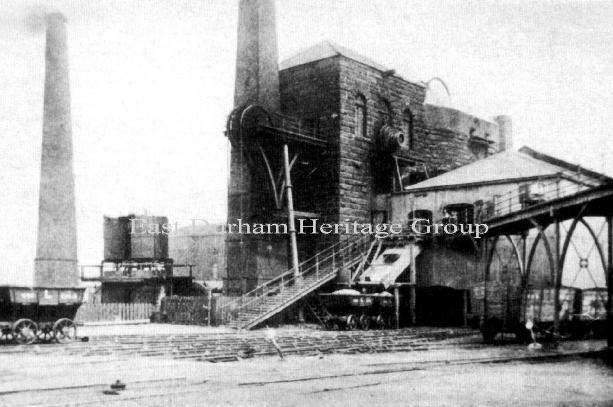 42 million tons of this coal was produced by 186,000 miners who worked at 300 collieries in County Durham. 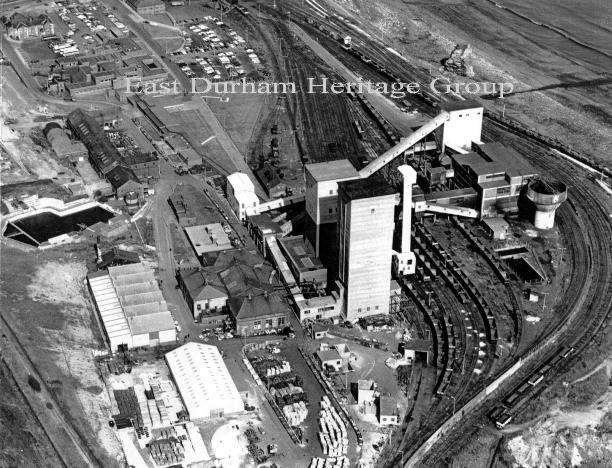 Who would have thought that only eighty years later in 1993 the last coal mine in County Durham would be closed.